Aladdin and his brother Wisheewashee must defeat Emperor Poo’s deceitful vizier, Ababanana, who places every obstacle in their way as they hunt for the mysterious magic ring. Along the way they polish a lamp, meet a Genie, and consult the Wiki of the ring, a non-profit information provider, for clues. Featuring a pouting and petulant Princess, a washed up washerwoman known as Widow Twanky, incompetent henchmen and ne’er do wells, star acts, an Emperor called Poo and lots more hilarious characters and situations. You’re in for a treat! BOOK YOUR PANTO TICKETS PRONTO! Once they’re gone, they’re gone. 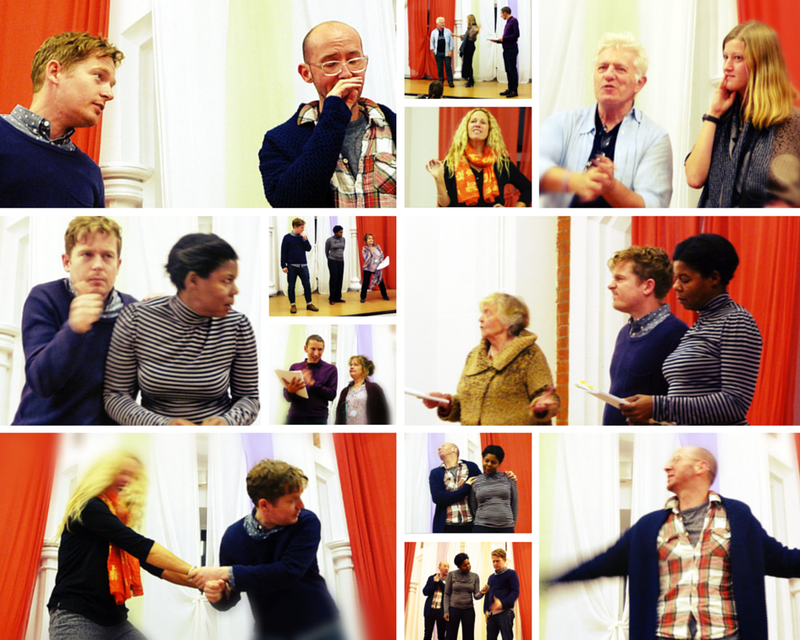 Here’s a gallery of pictures of some of the cast in rehearsal, they’re having fun!